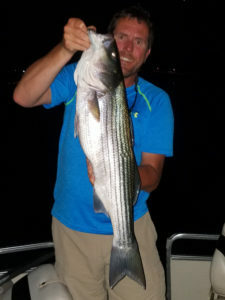 Steve Butchart on Aug. 20 while with Clayton Ross of Striper Adventures, caught this 31 1/2″long, 14 lb. 15 oz. striper at Lake Pleasant. Right now the best striper fishing is at night. It is important to be fishing between 65-90 feet deep due to the warm water. It is also important to use fluorocarbon line or leader due to stripers being very line shy. 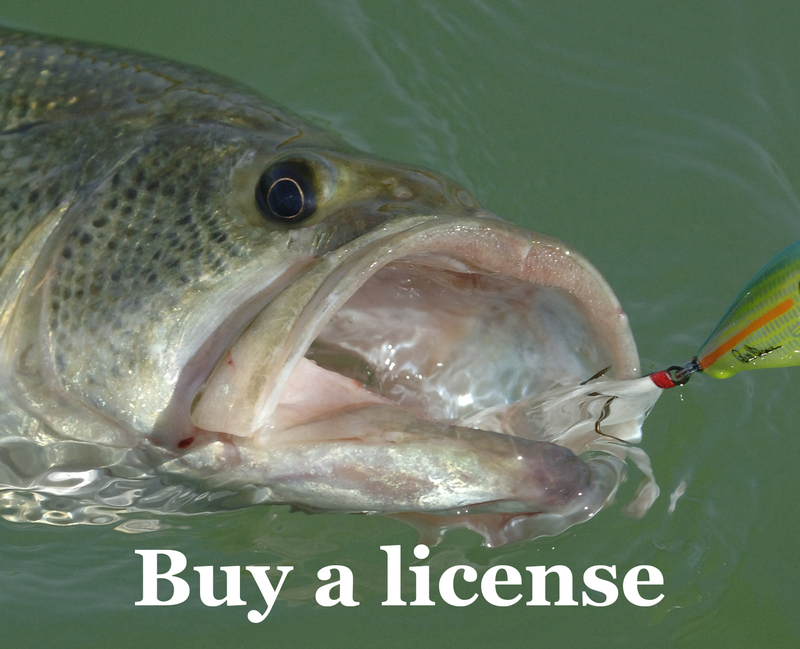 I am not saying you can not catch them on monofilament or braid, you will just get more on fluorocarbon, either a leader with braid or pure fluorocarbon. Use anything from a #2 to 2/0 hook with a piece of anchovy. They bite very light; in fact, I call it a two-tap bite. The first tap is the striper and the next one is me tapping you on the shoulder telling you that you just lost your bait.